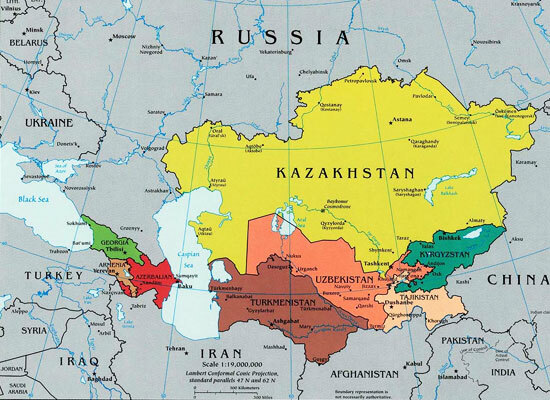 Home to a number of unexplored treasures, Kazakhstan is one of the countries attracting travelers from around the globe. Marked with grasslands, rugged mountains, forests, lakes and charming cities, the world’s largest landlocked country is enthralling. The rich history, culture, accommodation, world-class dining, entertainment, thrilling adventures and experiences, keep you occupied for days creating a memorable holiday. Get ready to have a wonderful time with our specially-crafted 6-Days and 5-Night tour. Explore the myriad of delights the country has been blessed with. Peruse the details of the itinerary to know more about your holiday. Arrive at the Almaty International Airport by 15:50 hours. Meet your tour guide waiting for you. Complete the formalities and by 16:20 hours board the bus for your transfer from airport to your pre-booked hotel. Check-in to the Hotel by 17:00 hours and freshen up. Dinner is at 18:00 hours, after which you return to your hotel by 20:00 to get rest and charge up for all the excitements for the next day. Wake up refreshed from a good night’s sleep. Breakfast will be served in the hotel by 08:00 hours. Leave for the city tour of Almaty by 10:00 hours. The charming city of Almaty is the former capital of the country but blessed with historical sights, culture and other attractions. The sightseeing tour starts in the central part of Almaty. Stop to explore monuments that include- the Palace of President, Republic Square and Monument of Independence, and Astana Square, Abai Square and Palace of Republic. Continue with your trip to one of the oldest parks in the city-Panfilov Park. In addition, stop to marvel at one of the unique wooden buildings in the world, the Zenkov Cathedral. Proceed to a visit of the Memorial of Glory and Eternal Flame, dedicated to the memory of the fighters who died for freedom and independence of the country. Take a break from sightseeing as lunch is arranged at the restaurant by 13:00 hours. After a sumptuous meal proceed with your day’s fun. At 15:00 hours, get assisted transfer for Kok-Tobe Park. Located at the peak of the Kok-Tobe Hill, it is one of the amazing amusement parks in the country. Arrive to the site, after a thrilling ride through the picturesque winding mountain road. 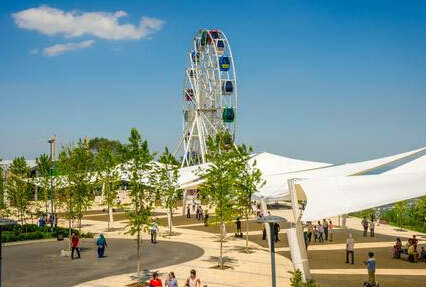 Stroll and enjoy the area, enjoy the magnificent panorama of the city from the observation deck. Pay a visit to ‘The Beatles Shop’ one of the few in the world and the only one in the CIS Countries. Do not miss to shop for the national souvenirs and other interesting things. After the well-spent day, enjoy a sumptuous dinner at the restaurant at 18:00 hours. Return to the hotel for overnight stay by 20:00 hours. On 3rd day of your Kazakhstan tour, start the day by 08:00 hours with a hearty breakfast served at the hotel. 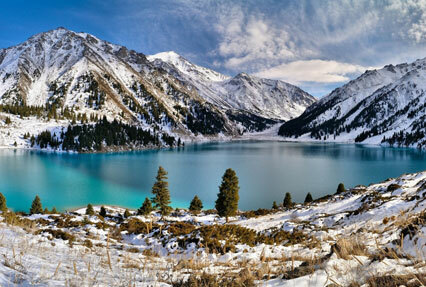 Later, get ready by 10:00 hours for transfer for a guided tour of beautiful mountain surroundings of Almaty city. Blessed with a beauty and charm, the mountains offer an amazing experience. The first stop of the tour is the Medeo Gorge. Located amid the wonderful mountains of Trans-Ili Alatau, it has the largest high mountain skating rink in the world along with the huge dam, protecting the city from devastation-causing mudflows from Tien Shan. Next stop is Chimbulak ski resort. Located at an altitude of 2230 m, its mild climate enjoys sunny days as well as snow through the winter. Enjoy the remarkable scenery of mountain ranges, watching the skiers and the beautiful surroundings. Take a breather at 14:00, while having lunch at the restaurant. At 16:00, get transfer to hotel. Enjoy the rest of the day at your own leisure. Dinner is organized at 19:00, at the restaurant. By 20:30, return to the hotel for overnight stay. Start the day with breakfast at hotel, served at 08:00 hours. By 10:00 hours get ready for a transfer to World Famous Gorky Central Park of Almaty. Spread over 100 hectares, the park was founded in 1856. The green landscapes are marked with attractions for entire family. There are rides for children, trails for jogging, shady walks, water features, flower beds and arrangements, amusement park for children, fun fair, horse rides and more. 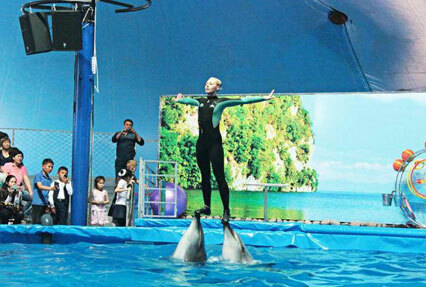 The unmissable highlights of the park are Aqua park, Lake with boating, Dino-Park and its latest addition Dolphinarium, which you can explore at an extra cost. After a well-spent morning, proceed to the restaurant for a lavish lunch. By 15:00 hours proceed to be transferred for shopping tour to Green Bazaar. A shopaholic’s paradise, it is absolutely difficult to refrain from shopping here. The Central Asian Market with its plethora of colors, smells and crowds offers a great chance to experience an unexplored world. Do not forget to taste one of the famous Asian sweets, but do bargain for prices. Charged after your shopping pursuits get ready to proceed for dinner at restaurant by 19:00 hours. After you have had your fill of the sumptuous fare, return to the hotel by 20:30 hours for overnight stay. Rise and shine as breakfast awaits at the hotel at 08:00 hours. Later, get ready to start with the Big Almaty Lake Tour. Settled at an altitude of 2500m above sea level, the beautiful Almaty Lake is called Zhasylkol which means "Green Lake" in Kazakh language. Enjoy the pristine natural beauty of pine forests, glaciers, lofty peaks and bliss beyond worlds. It is an experience you will cherish. On your return to the city, make a quick halt to visit the First President Park. 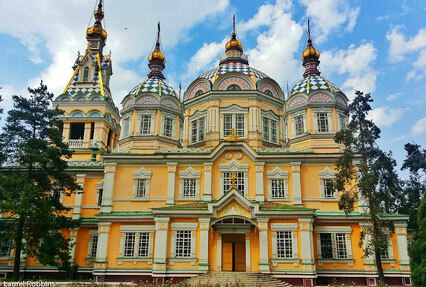 Spread over 73 hectares, the park is a masterpiece created by the combination of the unique natural landscape of Almaty and the scientific achievements of the twentieth century. Lunch is planned for 14:00 hours at the restaurant. Proceed to Mega Park Mall to burn those delicious calories shopping. Shop for souvenirs or tokens of Almaty. Proceed for dinner at the restaurant by 19:00 hours. Return to the hotel for overnight stay at 20:30 hours. Today is the last day of your Kazakhstan tour. Check-out from Hotel and get the timely transfer to the Airport.